At Glide Bikes we recognize the importance of providing opportunties to kids. Our balance bikes give children the chance to learn to ride a bike in a fun and rewarding way. We want every child to have the opportunity to learn and ride the fun and easy way! Check out some of our charitable donations that have helped to supply kids with the tools to enjoy a lifetime of biking, or went to helping other causes that benefit the community. Listed below are some of our most recent donations. 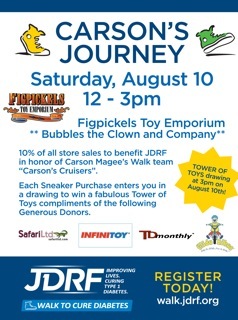 You can read all about Carson's Journey HERE, and learn about the JDRF foundation and what they're doing to help find a cure for diabetes. Find out why Figpickels Toy Emporium has partnered with sponsors like Glide Bikes to help ensure that their benefit event was a big hit! The ReCYCLEry is a very cool program, located nearby Glide Bikes's headquarters, in Carrboro North Carolina. 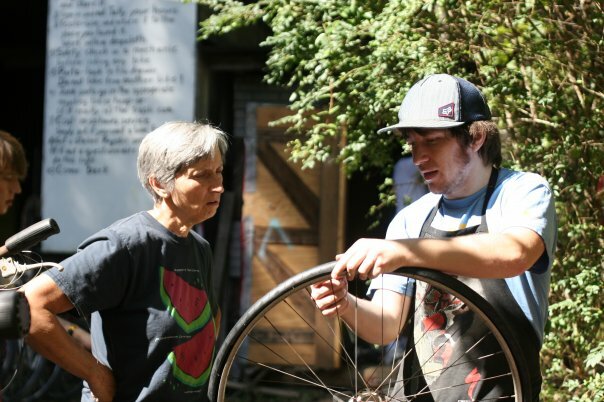 Dedicated to providing their community with a bike they can use and the skills to work on it, The ReCYCLEry's mission is one that we can fully support. Glide Bikes recently donated several bikes to their program where those who can't afford a bike can take a class on how to fix up and maintain a bicycle and at the end of the workshop they are able to take the bike home. To learn more about The ReCYCLEry check them out HERE.